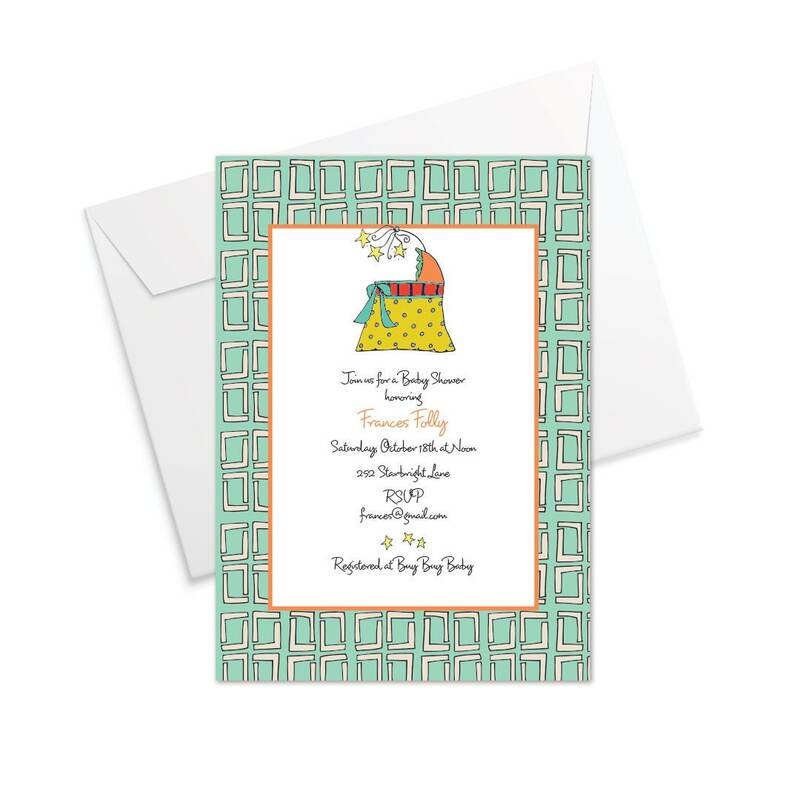 The Bassinet Baby Invitation is appropriate for casual or formal showers, any season of the year. 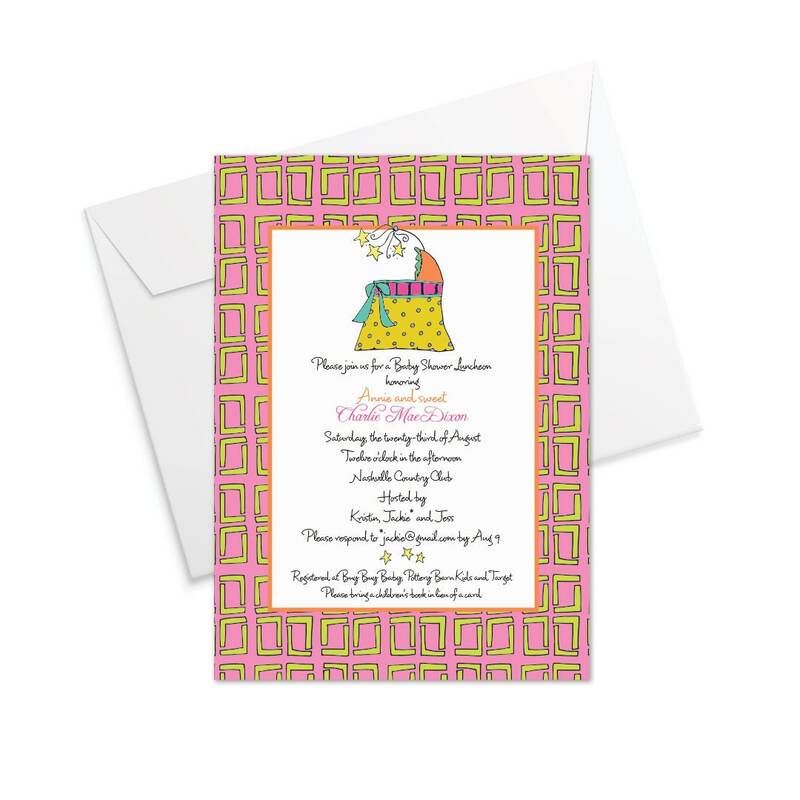 The invite immediately becomes a very special keepsake for mom and baby. Choose the mint or pink color set to customize for the guest of honor.